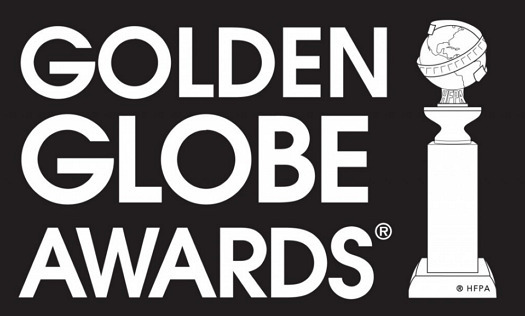 Ya ha sido anunciada la lista completa con los nominados a los premios Globos de Oro que se darán cita en Hollywood el próximo año 2011. Actores de la televisión y el cine se disputaran de grandes galardones. Película, drama: “Black Swan”, “The Fighter”, “Inception”, “The King’s Speech”, “The Social Network”. Película, musical o comedia: “Alicia en el País de las Maravillas”, “Burlesque”, “The Kids Are All Right”, “Red, The Tourist”. Película extranjera: “Biutiful” (México-España), “Le concert” (Francia), “Kray” (Rusia), “Io sono l’amore” (Italia), “Hævnen” (Dinamarca). Director: Darren Aronofsky, “Black Swan”; David Fincher, “The Social Network”; Tom Hooper, “The King’s Speech”; Christopher Nolan, “Inception”; David O. Russell, “The Fighter”. Actor, drama: Jesse Eisenberg, “The Social Network”; Colin Firth, “The King’s Speech”; James Franco, “127 Hours”; Ryan Gosling, “Blue Valentine”; Mark Wahlberg, “The Fighter”. Actriz, drama: Halle Berry, “Frankie and Alice”; Nicole Kidman, “Rabbit Hole”; Jennifer Lawrence, “Winter’s Bone”; Natalie Portman, “Black Swan”; Michelle Williams, “Blue Valentine”. Actor, musical o comedia: Johnny Depp, “Alicia en el País de las Maravillas” y “The Tourist”; Paul Giamatti, “Barney’s Version”; Jake Gyllenhaal, “Love and Other Drugs”; Kevin Spacey, “Casino Jack”. Actriz, musical o comedia: Annette Bening, “The Kids Are All Right”; Julianne Moore, “The Kids Are All Right”; Anne Hathaway, “Love & Other Drugs”; Angelina Jolie, “The Tourist”; Emma Stone, “Easy A”. Actor de reparto: Christian Bale, “The Fighter”; Michael Douglas, “Wall Street: Money Never Sleeps”; Andrew Garfield, “The Social Network”; Jeremy Renner, “The Town”; Geoffrey Rush, “The King’s Speech”. Actriz de reparto: Melissa Leo, “The Fighter”; Helena Bonham Carter, “The King’s Speech”; Mila Kunis, “Black Swan”; Amy Adams, “The Fighter”; Jacki Weaver, “Animal Kingdom”. Película animada: “Despicable Me”, “How to Train Your Dragon”, “The Illusionist”, “Tangled”, “Toy Story 3″. Música original: Alexandre Desplat, “The King’s Speech”; Danny Elfman, “Alicia en el País de las Maravillas”; A.R. Rahman, “127 Hours”; Trent Reznor, Atticus Ross, “The Social Network”; Hans Zimmer, “Inception”. Canción: “Bound to You” (compuesta por Samuel Dixon, Christina Aguilera y Sia Furler) y “You Haven’t Seen The Last of Me” (compuesta por Diane Warren), ambas de “Burlesque”; “Coming Home” (compuesta por Bob DiPiero, Tom Douglas, Hillary Lindsey y Troy Verges), de “Country Strong”; “I See Light” (compuesta por Alan Menken y Glenn Slater), de “Tangled”; “There’s a Place for Us” (compuesta por Carrie Underwood, David Hodges y Hillary Lindsey), de “Chronicles of Narnia: The Voyage of the Dawn Treader”. Serie, drama: “Boardwalk Empire”, HBO; “Dexter”, Showtime; “The Good Wife”, CBS; “Mad Men”, AMC; “The Walking Dead”, AMC. Actor, drama: Steve Buscemi, “Boardwalk Empire”; Bryan Cranston, “Breaking Bad”; Michael C. Hall, “Dexter”; Jon Hamm, “Mad Men”; Hugh Laurie, “House”. Actriz, drama: Julianna Margulies, “The Good Wife”; Elisabeth Moss, “Mad Men”; Piper Perabo, “Covert Affairs”; Katey Sagal, “The Closer”; Kyra Sedgwick, “The Closer”. Serie, musical o comedia: “30 Rock”, NBC; “The Big Bang Theory”, CBS; “The Big C”, Showtime; “Glee”, Fox; “Modern Family”, ABC; “Nurse Jackie”, Showtime. Actor, musical o comedia: Alec Baldwin, “30 Rock”; Steve Carell, “The Office”; Thomas Jane, “Hung”; Matthew Morrison, “Glee”; Jim Parsons, “The Big Bang Theory”. Actriz, musical o comedia: Toni Collette, “The United States of Tara”; Edie Falco, “Nurse Jackie”; Tina Fey, “30 Rock”; Laura Linney, “The Big C”; Lea Michele, “Glee”. Miniserie o película: “Carlos”, Sundance Channel; “The Pacific”, HBO; “Pillars of the Earth”, Starz; “Temple Grandin”, HBO; “You Don’t Know Jack”, HBO. Actriz, miniserie o película: Hayley Atwell, “Pillars of the Earth”; Claire Danes, “Temple Grandin”; Judi Dench, “Return to Cranford”; Romola Garai, “Emma”; Jennifer Love Hewitt, “The Client List”. Actor, miniserie o película: Idris Elba, “Luther”; Ian McShane, “Pillars of the Earth”; Al Pacino, “You Don’t Know Jack”; Dennis Quaid, “The Special Relationship”; Edgar Ramírez, “Carlos”. Actriz de reparto, serie, miniserie o película: Hope Davis, “The Special Relationship”; Jane Lynch, “Glee”; Kelly Macdonald, “Broadwalk Empire”; Julia Stiles, “Dexter”; Sofía Vergara, “Modern Family”. Actor de reparto, serie, miniserie: Scott Caan, “Hawaii Five-O”; Chris Colfer, “Glee”; Chris Noth, “The Good Wife”; Eric Stonestreet, “Modern Family”; David Strathairn, “Temple Grandin”. Premio Cecil B. DeMille a la trayectoria: Robert De Niro.